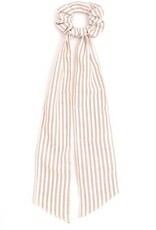 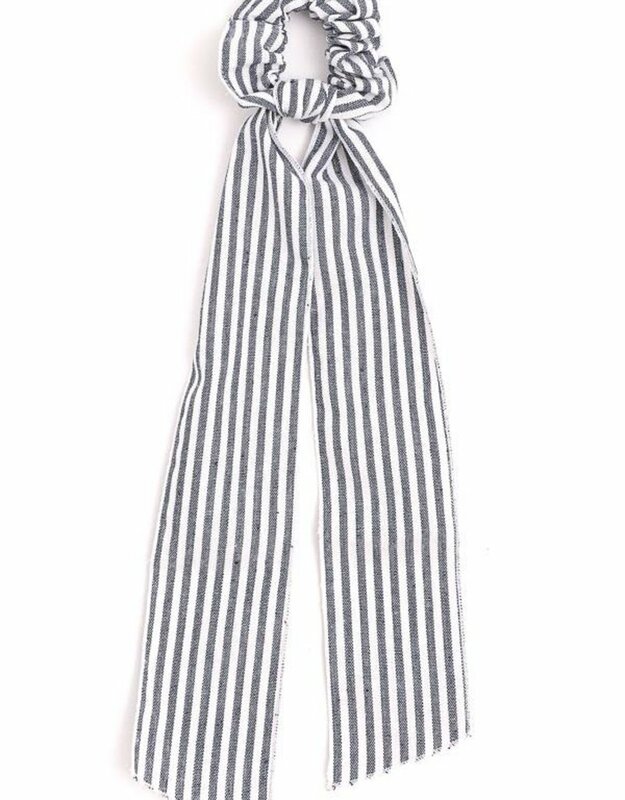 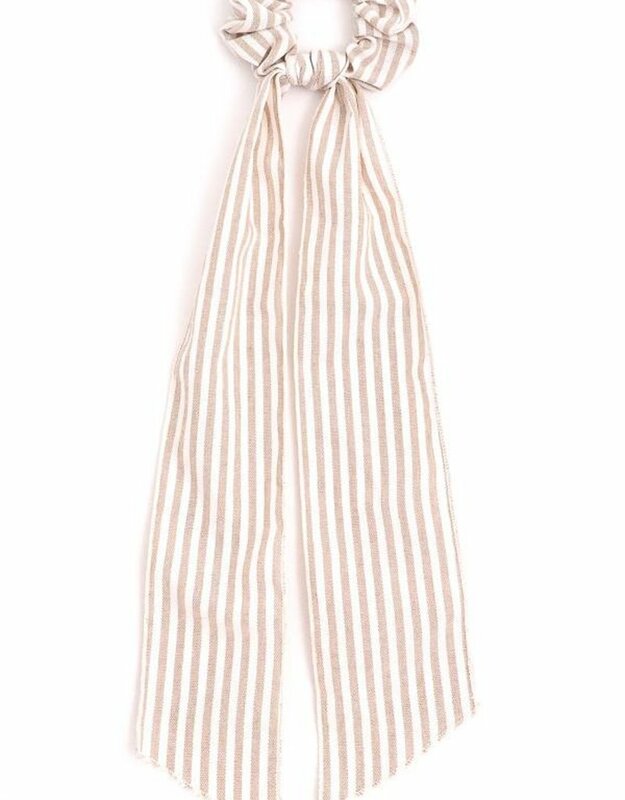 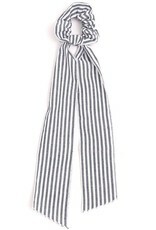 With a finished seam this striped tail is so versatile. 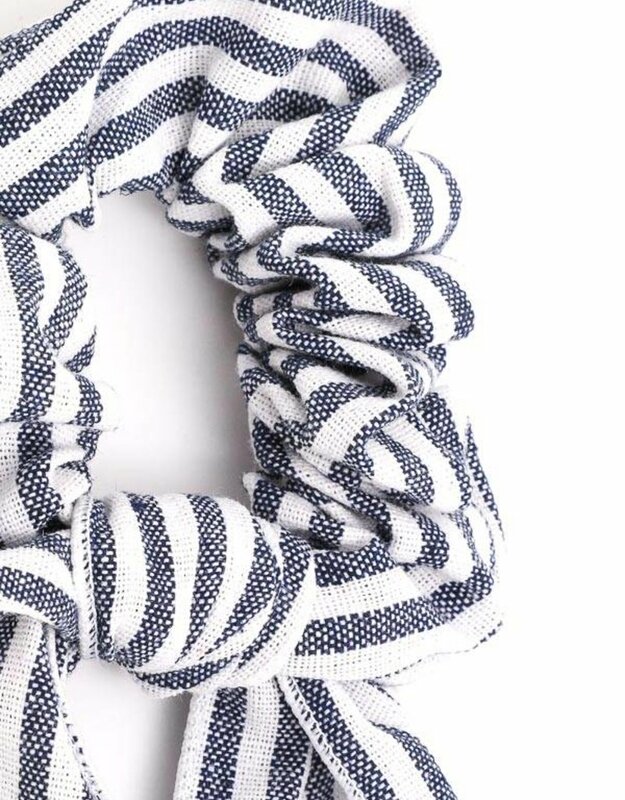 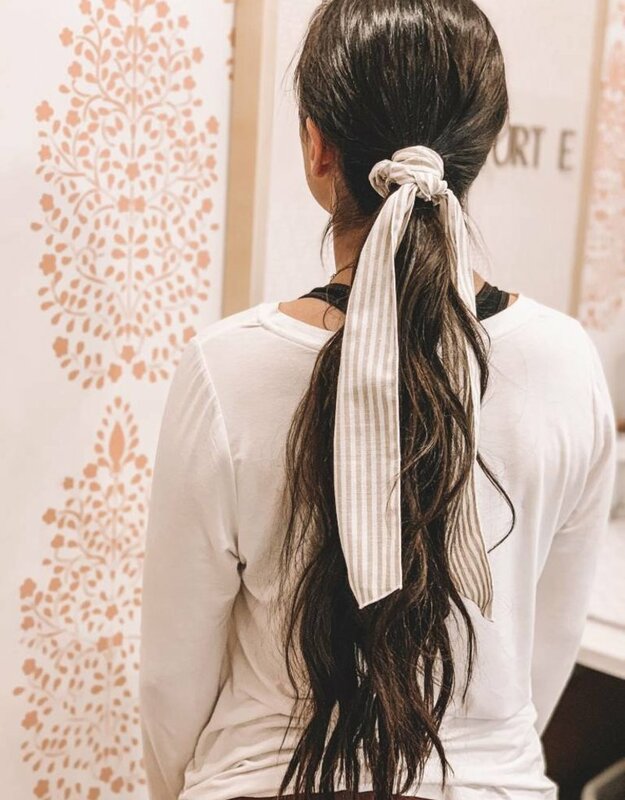 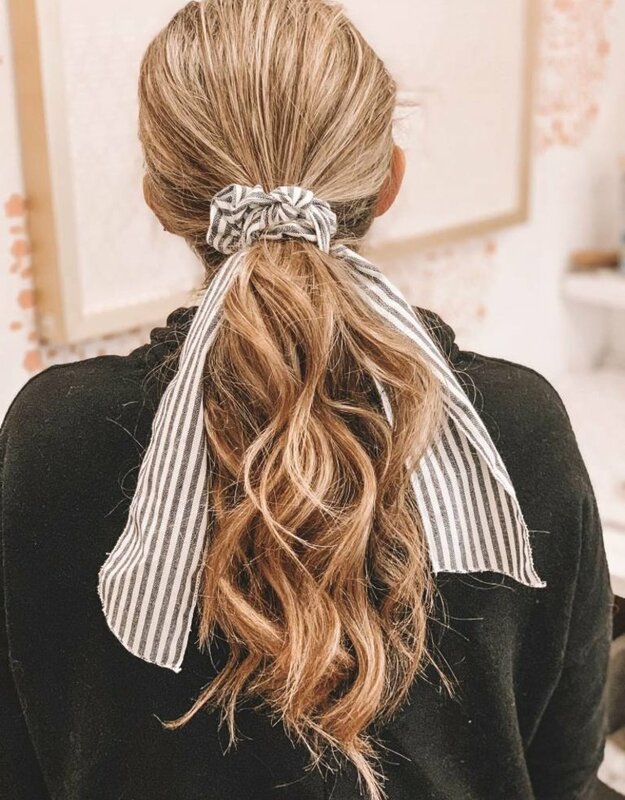 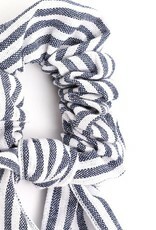 Spice up your next hairstyle with this scrunchie and tail combo! 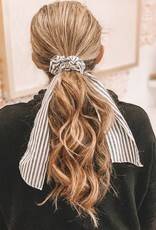 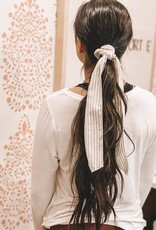 Try it out with a low pony or get crazy and weave the tail through a french braid.